I was recently approached by a Muslim chaplain looking for resources for Muslim parents, parents trying to find positive ways for their families to move forward when their adult children choose life partners outside of their faith community. They fear intermarriage will not fit comfortably within the expectations of parents and the boundaries of their faith communities. This request triggered my own reflections on the nature of people’s concerns about interfaith marriage. I am a Roman Catholic immigrant to Canada from Germany living in Toronto and have been married to a Pakistani Muslim for close to 50 years. I am acutely aware of the potential difficulties that can arise in an interreligious marriage, especially when religious differences between spouses are compounded by racial and cultural differences. Interfaith marriages between Muslims and non-Muslims are occurring with increasing frequency in Canada and often come with concerning issues for couples as well as their parents. A marriage between a Muslim and a Roman Catholic can pose particular challenges, because both traditions have rules seeking to ensure the prevalence of their own religion in the relationship. Seeking to effectively navigate religious rules prior to and throughout an interfaith marriage can cause great tension, requiring education, accommodation, and mindful decision-making on the part of the couple and their extended families. Many Muslim parents with adult children considering marrying outside of their faith fear that their son or daughter may abandon their faith. Their grandchildren may not be raised Muslim and could grow up without any religion at all. Some also fear repercussions with respect to the social perception of their family by other members of the Muslim community. The Qur’an recommends that Muslim men marry Muslim women, but says that they may also marry Jews and Christians (2:221; 5:5). According to Islamic Law (Shariah), if a Muslim man wishes to marry a non-Muslim woman other than a Christian or a Jew, the woman must convert to Islam. Jews and Christians, like Muslims, are considered to be People of the Book who share revealed scriptures perfected in the Qur’an. The Qur’an is silent on marriages of Muslim women to Jewish and Christian men, but the principal schools of Islamic jurisprudence all agree that under no circumstances may a Muslim woman marry a non-Muslim man. Even a woman who converts to Islam after marriage must not remain married to a non-Muslim husband. The rationale given for these rulings is that if men required special permission to marry a non-Muslim, women also require special permission. Since the Qur’an provides no such permission, marriage between a Muslim woman and a non-Muslim man must be prohibited. Some Islamic scholars argue that according to the Qur’an, the husband is the head of the family and thus entitled to exercise authority over his wife (4:34), and that a non-Muslim may not exercise authority over a Muslim. Others maintain that allowing a Muslim woman to marry a Christian or a Jew or, indeed, any man of another faith, may put her religious beliefs and rights at risk and potentially cause her to face oppression in the practice of her faith. In recent years, a number of Islamic scholars have argued that this assumption no longer holds true, as men and women are treated as equals and women are perfectly capable of making their own decisions. Indeed, a number of imams, notably in Europe and North America, are conducting such marriages. According to Islamic Law, if a Muslim man marries a Jewish or Christian woman, the woman has the right to continue practicing her faith. But the children of a Muslim man must always be raised as Muslims. No Muslim is permitted to convert to another religion. Any such act is viewed as apostasy and punishable, including by death in some Islamic jurisdictions. While the religious laws in Islam with respect to interfaith marriage seem relatively clear, it is less clear how they can realistically be implemented. If the non-Islamic partner in a relationship is willing to learn about and wholeheartedly embrace Islam, compliance with the rules may cause few problems. If religion is not important to her or him, they may embrace Islam in name only in what may essentially be a conversion of convenience. But if religion truly matters to both parties, abiding by the Islamic laws on interfaith marriage may either produce an inequitable, imbalanced relationship, dominated by the Muslim partner, or rule out a marriage altogether. A Jewish or Christian woman who marries a Muslim man may be allowed to practice her faith, but only with limitations. She may find it difficult to do so freely, if she feels that it is not being respected or honored by her spouse and/or his extended family and faith community. She will be expected not to share her faith with her children which, if she happens to be Roman Catholic, may conflict with her religious requirement to raise her children in her faith. If the children only learn about the faith of one parent, this can produce the perception in them that one parent is more important than the other. It also states that “there is no compulsion in matters of religion” (256). Above all, the rules seem to conflict with the principle of justice, a key spiritual principle promoted by the Qur’an. The Qur’an seeks to build a moral society, not a legalistic one.... [A] specific legal injunction, or law, provides an example of how [a] principle was realized during the life of the Prophet Muhammad in the context of seventh-century Arabia. When the context changes or the law ceases to reflect the principle, the law must be changed. Indeed, if the law is not changed it will inevitably end by violating the principle… The challenge of understanding the Qur’an is to understand it in our own time (p. 372). Sardar argues that the emphasis on religious rules in Islam stems not from the Qur’an but from the Muslim tradition. Does Sardar’s argument have implications for the Islamic rules on interfaith marriage? When we closely examine the rules, it becomes clear that they only address men. 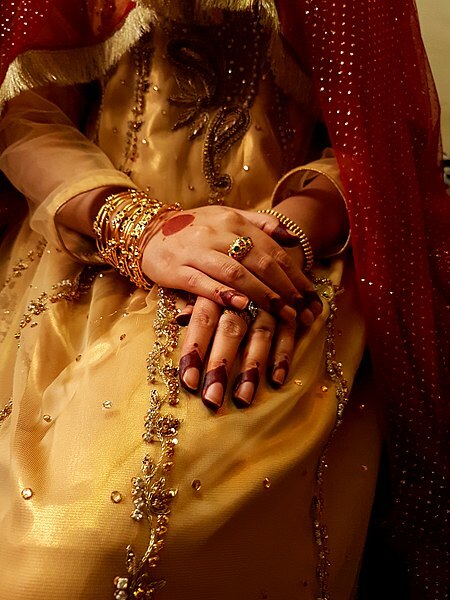 They reflect the context of a patriarchal society where women played a subordinate and secondary role; a society in which fathers arranged marriages for their sons and daughters who were expected to comply with their decisions, and where marriage was defined more by collective family interests than as a union between two individuals based on mutual love. By contrast, young women and men in Canada today expect to be treated equitably. They are encouraged to develop critical thinking, make independent decisions, and take responsibility for their actions. Most choose their own marriage partner and marry for love. Religion is no longer viewed primarily as involving the unquestioning compliance with religious rules and practices. Instead, it is seen as an aid to growing in spiritual awareness, to living by moral principles, and to acting authentically and responsibly. It is within this context that healthy intermarriage between Muslims and members of other religions can be viewed today. An approach to interfaith marriage based on spiritual values and moral principles requires a shift in thinking on the part of couples, their parents, and their communities. Such an approach is internally not externally driven, demanding a higher level of awareness than simply complying with religious rules and conventions. It will probably require courage and principled decision-making, as the prevailing religious laws on interfaith marriage in Islam are deeply ingrained in the thinking of most Muslims. Parents can assist and support their adult children who seek to marry outside their faith by encouraging them to be authentic in their faith, to respect the religious differences between their partner and themselves, and to allow each other to be and to grow as who they are. By inspiring a son or daughter to learn more about their own religion, as well as their partner’s, parents can help them deepen their faith, overcome misconceptions about their partner’s faith, and discover shared values, principles, and beliefs. This is the alternative to urging religious uniformity for them. They can be empowered to strive for unity based on similar values, principles and beliefs, and on mutual love and respect, compromise, and accountability to a higher power. The children arising from such a union will draw inspiration and direction from their parents’ values and principles, the practice of their two faiths, and, above all, from their relationship with each other and the way they deal with their differences. Excellent guidance for raising children in an interfaith marriage from a spiritual perspective, that respects and honors the religions of both parents, may be found in the book Being Both: Embracing Two Religions in One Interfaith Family (2013) by Susan Katz Miller. 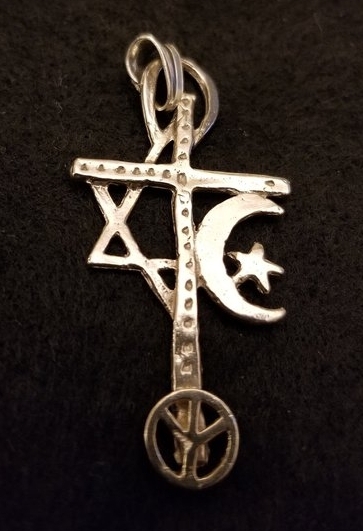 The indiscriminate adherence to what may be perceived to be religious rules in one’s faith tradition can be a source of division in an interreligious relationship. If a person’s observance of religious rules substantially changes in the course of an interfaith marriage, it can have significant implications for her or his partner, especially if the requirements differ greatly from practices in the partner’s faith. In Islam, there are numerous religious rules which affect most areas of life, from prayer rituals to dietary requirements, from dress codes to rules for borrowing and lending money. Not all rules are vested with equal importance, and many practices thought to be based on religious laws derive from little more than socio-cultural traditions. Authentic religious practice entails awareness of the meaning, purpose, and source of a perceived religious requirement instead of embracing it without question. By exploring the meaning behind presumed religious rules, you not only raise your level of spiritual awareness but also learn to discern what is essential and non-essential in the practice of your faith. The ability to find shared meaning and purpose unites. In an interreligious marriage, understanding the meaning behind your spouse’s religious practices can deepen your bond with your partner, especially when a similar meaning can be found behind religious requirements or practices in your own faith. For example, Ramadan in Islam and Lent in Christianity both reflect the principle of sacrifice and fasting for the purpose of inner purification. Interfaith couples face the challenge of balancing their different religious practices. What matters most is that both sides respect what is truly important to their partner and themselves and seek a compromise with respect to rules and practices that are of lesser importance to them. To do so, sometimes requires one side to give a little more than the other. An interfaith marriage can be deeply rewarding and enhance one’s spiritual awareness by opening up new perspectives on and experiences of the divine and other people. While religious differences can have a major impact on a marriage, ultimately other aspects of the relationship may be of greater significance to the success or failure of a marriage. The parties’ emotional stability and maturity, their level of spiritual awareness, and their compatibility as a couple will largely define how they will deal with their religious differences. When both parties are secure in who they are, including in their religious identity, and their relationship is defined by mutual love and trust, by respect for each other’s differences and by a focus on God, religious differences become secondary in the relationship.